 The module allows you to retrieve the Cdiscountpro catalog, possibly filtered from the Cdiscountpro interface. 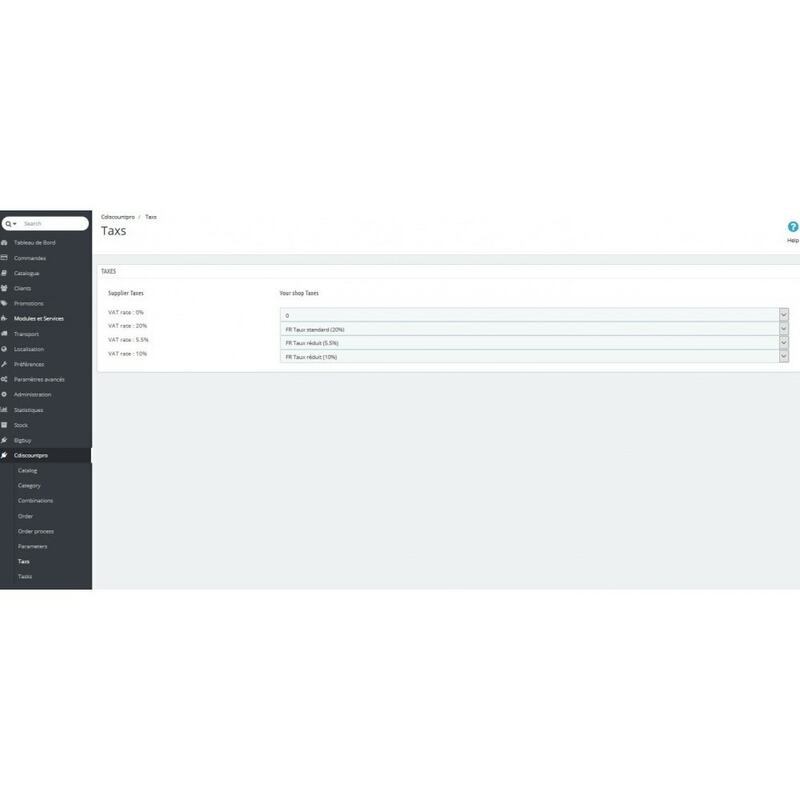 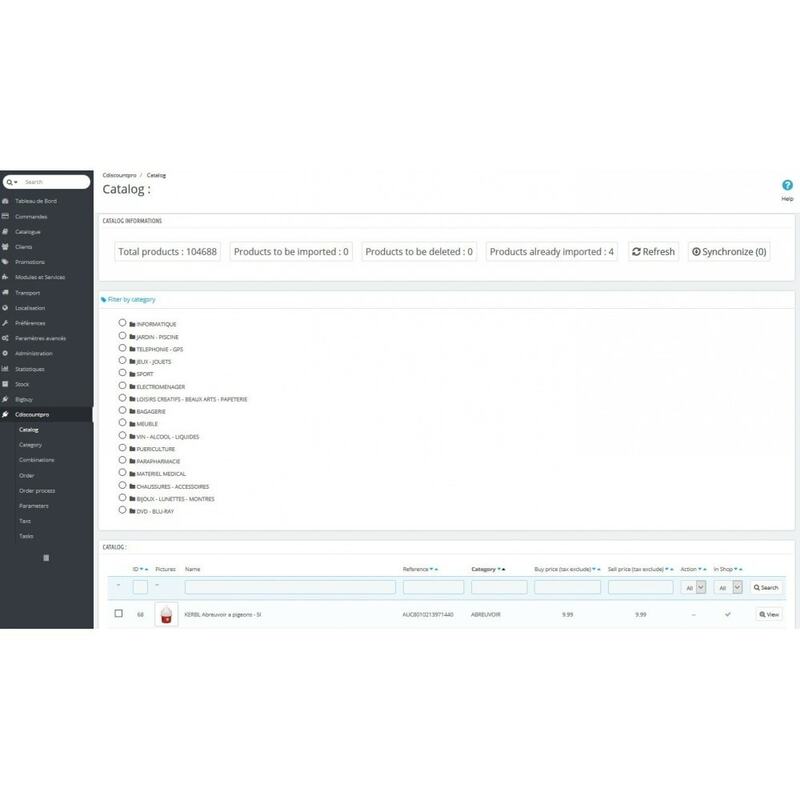 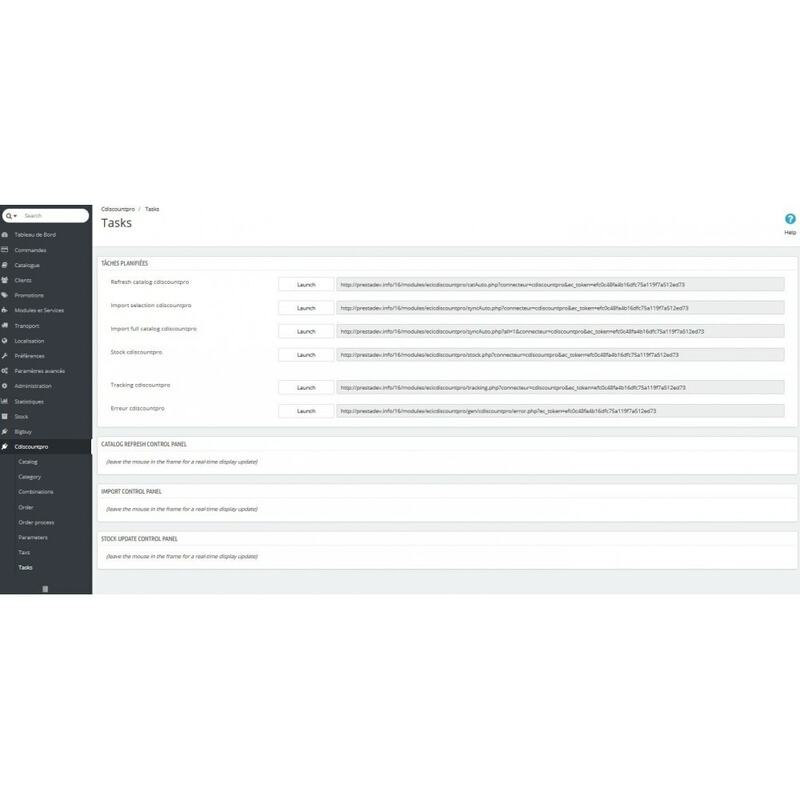 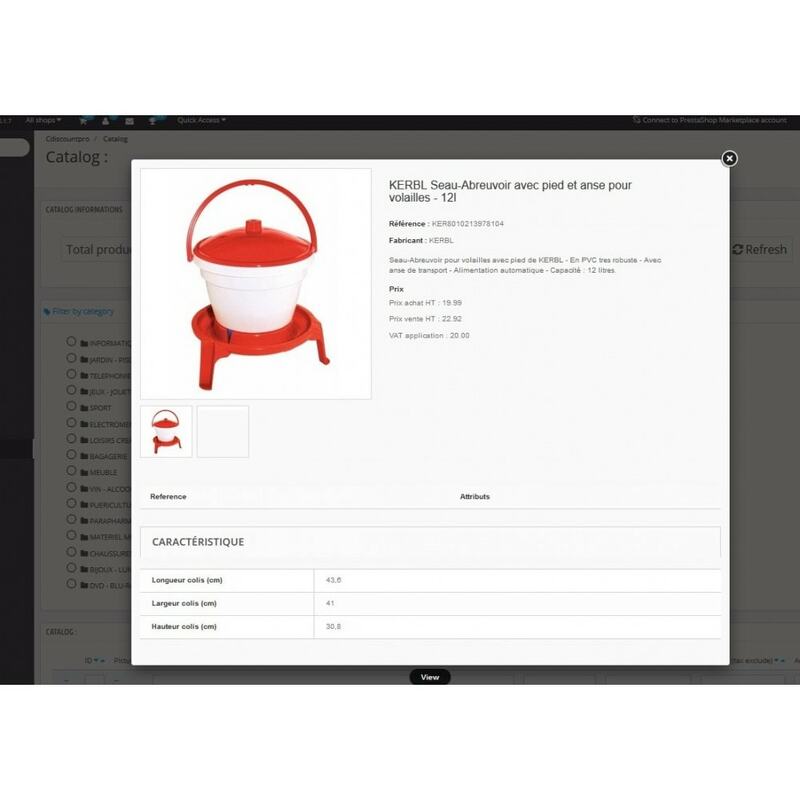 From the module you trigger tasks such as importing selected products, updating stocks, updating order reports;These tasks can all be automated (cron) thanks to the links provided, and monitored from the module. Orders with Cdiscountpro products are scanned in real time and left at Cdiscountpro automatically;You can switch to manual if you want.The follow-up of these commands is carried out by the tracking task which provides you with all the necessary information and can possibly trigger the sending of mail to the client.